Wix, Weebly, WordPress And Squarespace Walk Into A Bar. Building The Perfect Website Is No Joke. And it starts with your Homepage. 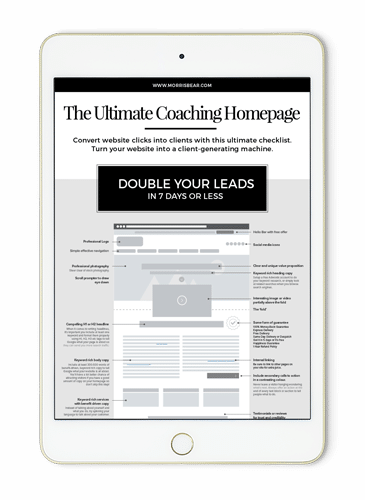 Learn exactly what to include on your homepage to DOUBLE or even TRIPLE your leads in 7 days or less! You assume your website is a ghost town because you never send anyone there. But the truth is, people are visiting your website whether you send them there or not. And they’re visiting the exact moment before they decide to pay you. Let your website sell for you. You’re Making Things Hard For Yourself. You keep a close eye on everything going on with your business. Because it means so much to you. But you’re missing out on so many opportunities because your website isn’t a true reflection of your brilliance. You’re the expert. But your website has potential clients questioning that. If your current website is badly dated, you may as well be wearing a skirt over flared jeans. Early 2000’s style doesn’t work for anyone any more. Raise your rates. Don’t be overlooked. Take control of your life. 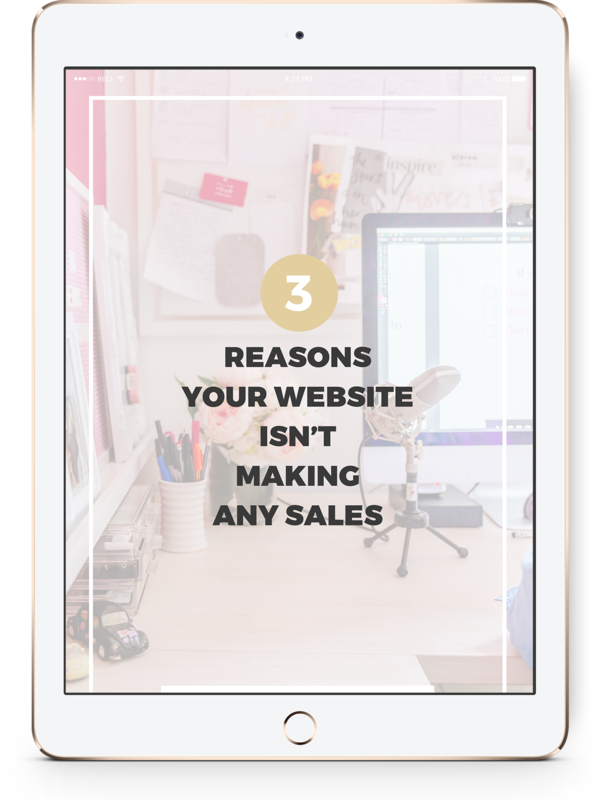 Go get a long macchiato while your website hooks your next 3 clients for you. Story Checks Out. Check Out These Success Stories. Everything you have ever touched has delivered results! It is Emma’s absolute mission to help you achieve exactly what you want + need. Investing in my website has allowed me to think bigger. For myself, for my business. Emma makes setting up an online business so SIMPLE! and EASY! I have more confidence now when talking about my business as it looks really professional. It’s Pretty Simple. Fail To Plan? Plan to Fail. 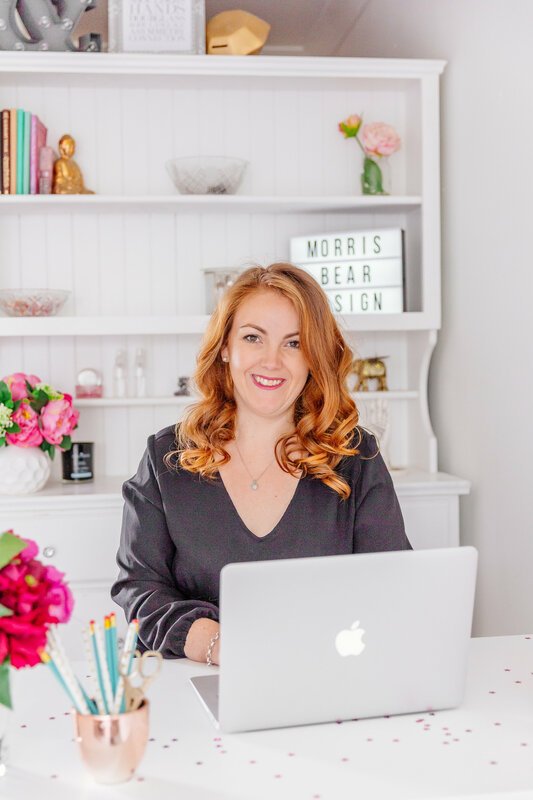 Morris Bear was born from a passion to help women get the most out of business and family life. At the same time. No one is superhuman, so we need all the automated support we can get. I’m Emma, and I’m here to share the tools that will help you to succeed in business while still getting to actually live your life. Schedule A Call And Take The First Step Towards Business Automation.